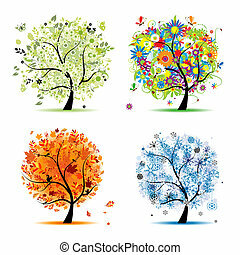 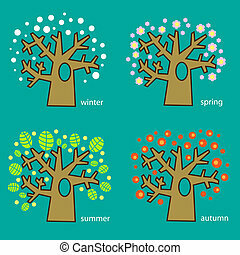 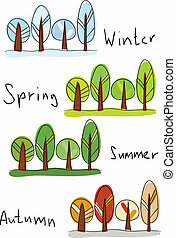 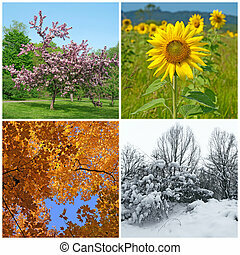 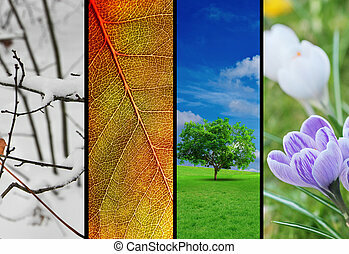 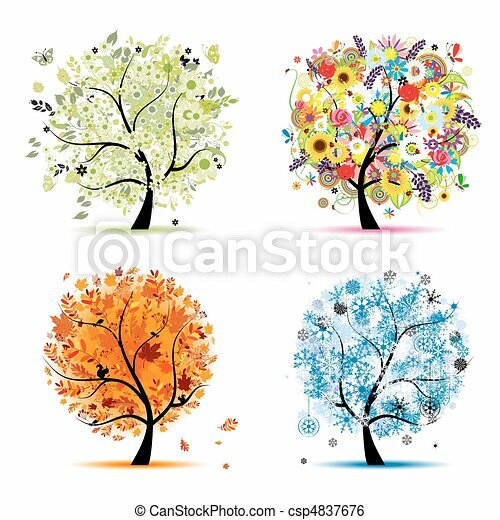 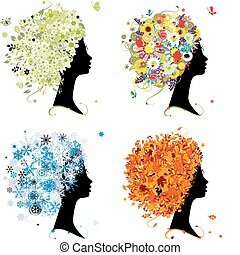 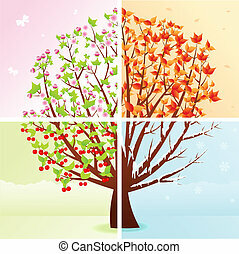 Four seasons - spring, summer, autumn, winter. 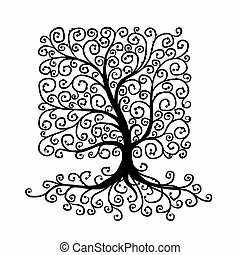 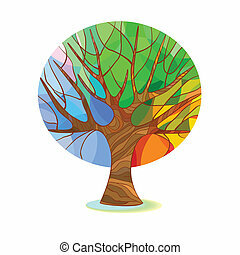 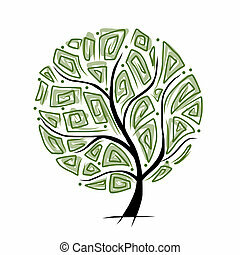 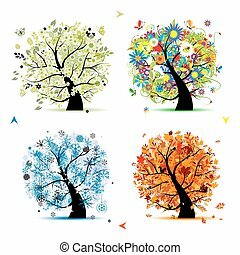 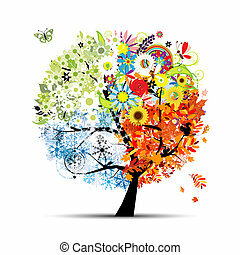 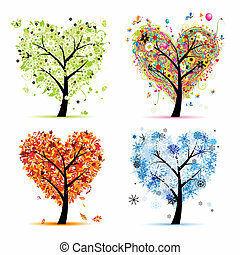 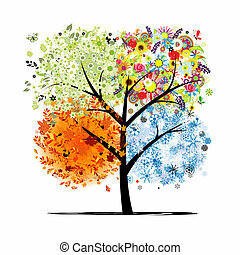 art tree beautiful for your design. 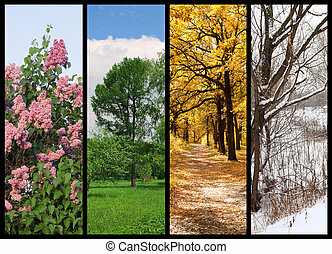 Four seasons. 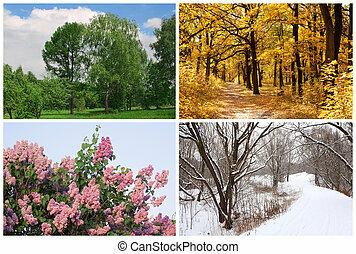 Spring, summer, autumn and winter landscapes. 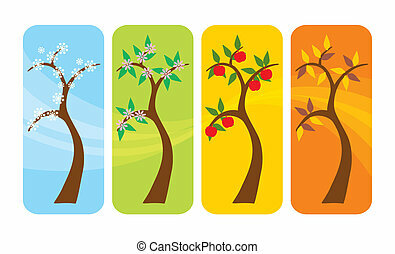 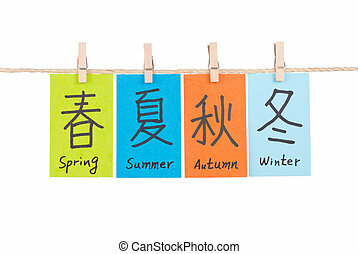 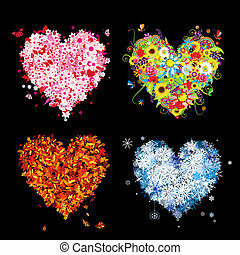 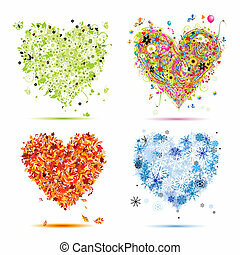 Chinese words of spring, summer, autumn and winter , four seasons represent by four colors. 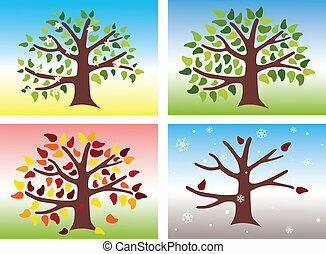 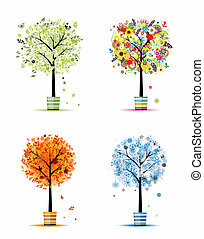 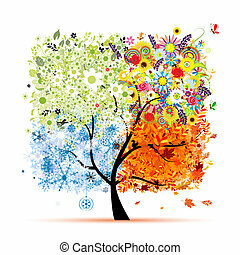 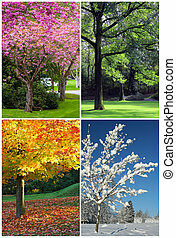 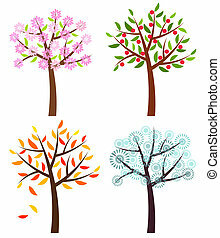 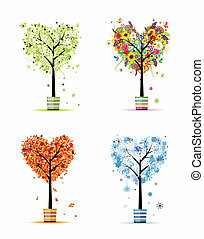 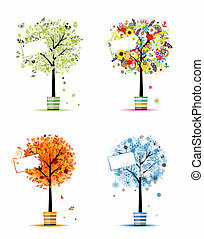 The colors of spring, summer, autumn and winter are shown in the tree transformation. 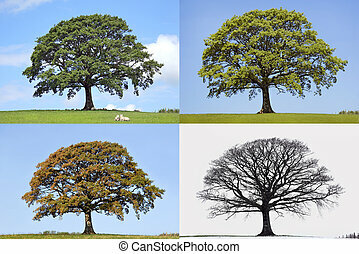 Oak tree in the four seasons of spring, summer, fall and winter in rural countryside all set against a blue sky.